Tervitan Sind ja kutsun meile külla vastvalminud Eesti Loto Majas, büroohoones Tallinnas, aadressil Hallivanamehe 4. Mahuka meeskonnatöö tulemusena lõime ühe väärika ja tänapäeval büroohoonetele esitatavaid kõige kõrgemaid standardeid järgiva energiasäästliku hoone, mille valmimisel on kasutatud parimaid materjale ja uudseimaid lahendusi, mis hetkel võimalik on. Mugavuse ja praktilisuse kõrval pidasime alati väga oluliseks ka turvalisust. Võite kindlad olla, et kõik meie büroomajja tänaseks koondunud ettevõtted on väga väärikad ja vaieldamatult oma ala tunnustatud tegijaid! Omades hoonete haldamises pikaajalisi kogemusi, annab meie hooldusmeekond igal hetkel parima ,et iga meie üürnik ennast hästi ja hoitult tunneks! Up to 1918, the Hallivanamehe 4 plot was home to a stable on the summer estate of baron von Grauemann. The hostler of that stable was the great-grandfather of Hallivanamees. His clever nature, skilled hands, and mighty way with words were known across the neighbourhoods of Kitseküla and Tondi. But the father of Hallivanamees was a fisherman. He was a good and honourable man, whose courage and reverence towards the sea were highly valued by many. Hallivanamees himself was born in the early hours of 25 August 1930, as the third child in the family. He was named Jakob. Hallivanamees spent his childhood on the pastures of Kitseküla. His favourite pastimes were running around and coming up with new tricks. Supposedly, he was the first child to carry the nickname “Trickster”. He was especially fond of riding in a streetcar ever since streetcar tracks were extended up to Tondi in 1936. His studies at Tallinn Secondary Science School were cut short due to the war. In March 1949, Hallivanamees was sent to Siberia along with his family. After returning, the family moved to Liu village in Pärnu County. Hallivanamees became a woodsman – a true woodsman who knew his way around the woods and gave them due respect. Hallivanamees first met the light of his life, Marta, at a midsummer hay harvest at his neighbour Villu’s farm. They were practically inseparable after that. The family of Marta and Hallivanamees grew to have three boys and a little girl called Tiiu. In the 1990s, Hallivanamees regained ownership of the lands in Kitseküla that had belonged to his great-grandfather. The children got into a fight over distributing lands. Hallivanamees was not pleased by this, not the slightest bit. Everyone was summoned for a gathering and the issues were promptly solved with wisdom, cunning, and love. These days, Hallivanamees is not that fond of the hustle and bustle of city life. His children still live there though. What Hallivanamees loves best is when the entire family gathers around him in the countryside and the little ones are eager to hear stories of his life. He has quite a few of those. And he is happy to share them time and time again. BUSINESS AND OFFICE BUILDING ON PÄRNU MNT. 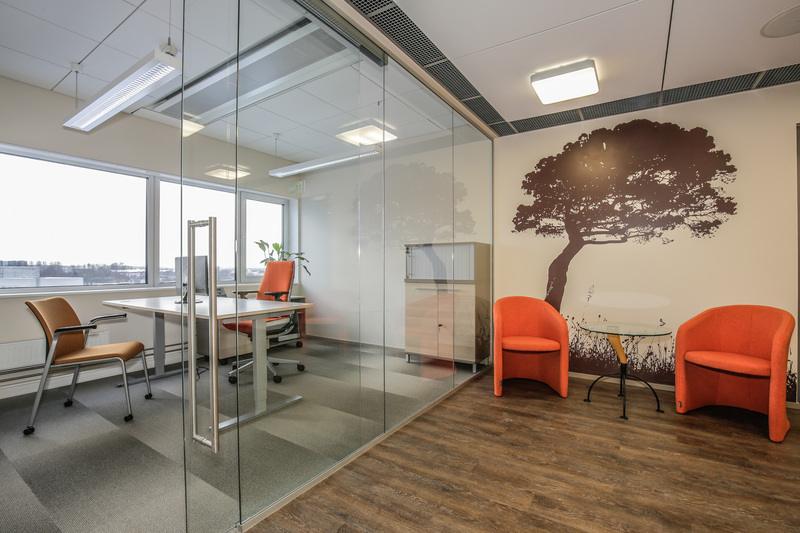 I would like to welcome you to take a look around our newly-completed office building at Hallivanamehe 4 – the Eesti Loto Building. Substantial team work has resulted in an exceptionally stately building that follows the highest standards when it comes to all aspects of office building construction. The materials that have been used in making this energy saving building are the best available, and the solutions employed within it are the most up-to-date available. 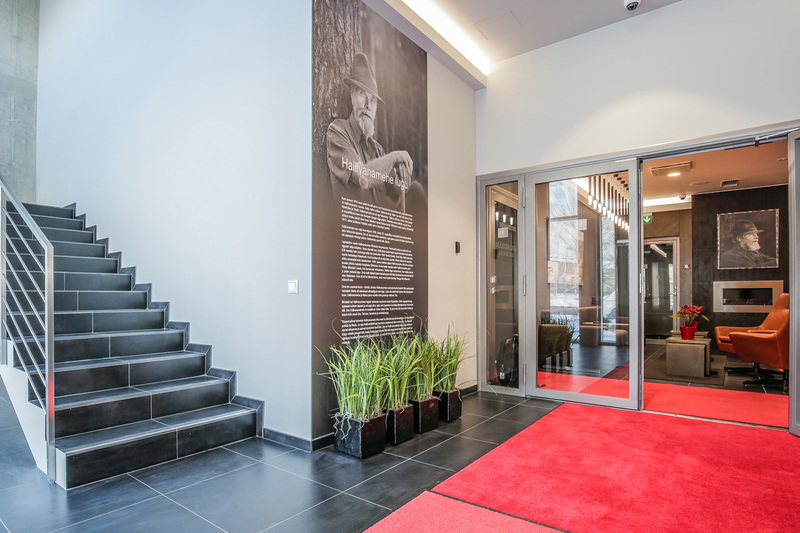 The businesses that are currently represented in the Eesti Loto Building are all extremely dignified and well-known, and are acknowledged players in their field. Long-term experience in building management has only served to verify our concept that a satisfied lessee is like a good friend. The Eesti Loto Building is a business and office building that is located at Hallivanamehe 4, in Tallinn’s business area. The building’s naming rights are held by one of its anchor tenants – Eesti Loto AS. The building is nine storeys tall, with a further two storeys set underground for use as a car park. It is also possible to park outside the building, but within its grounds, all of which is monitored by video surveillance. 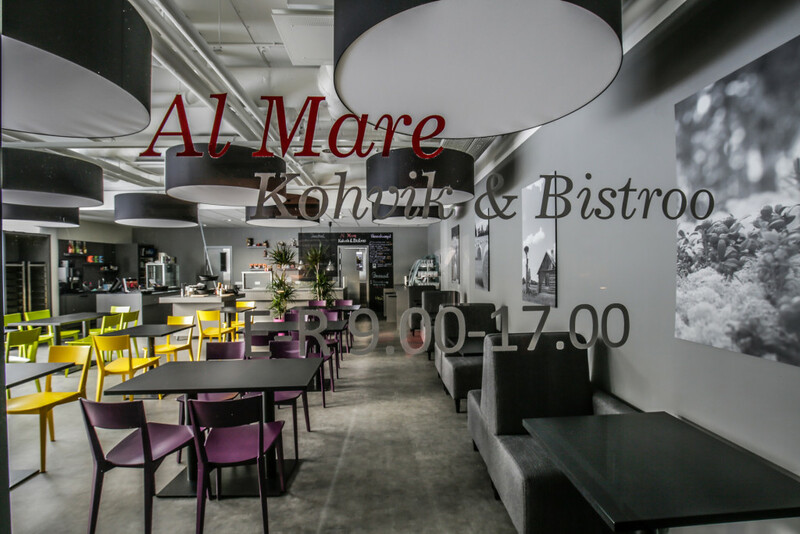 A cosy bistro-cafeteria is located on the first floor, which is a pleasant place to have a meal. On office days, an administrator/security person is available in the lobby. At other times the building is under video surveillance. The building’s architect is Jüri Okas (AB Okas&Lõoke), the creator of a large number of office buildings in Tallinn (such as Delta Plaza, City Plaza, the Estconde Business Building, and others). The building’s developer EKE Invest, in cooperation with Age Vara. Since 2018, the sole owner of the building and operating company is EKE AS. Hallivanamehe Street 4 is located alongside Pärnu mnt., in the most sought-after business and commercial quarter in the downtown area of Tallinn. It is alongside the trunk road Via Baltica, which has one of the highest traffic densities and is in a unique public transportation intersection. In fact, it is in the best possible location for an office building in the entire city of Tallinn. The office building being built is simple to locate and easily visible from Pärnu mnt., and it is located directly across the street from the Police. Eesti Loto Maja is located 50 metres away from the “Kalev” bus stop, approximately 100 metres from the tram stop and 200 metres from the electric train stop.